The S80 Top Safety Pick+ results include good performance in the small overlap front test, which replicates what happens when the front corner of a vehicle strikes another vehicle or object, such as a tree or a utility pole - a very severe crash situation. In the test, 25 per cent of the front end on the driver's side strikes a 1.5 m (5 ft) high rigid barrier at 64 km/h (40 mph). "Our safety cage features a robust design with a blend of different steel qualities. The new IIHS test program confirms the exceptional crashworthiness of this patented solution. 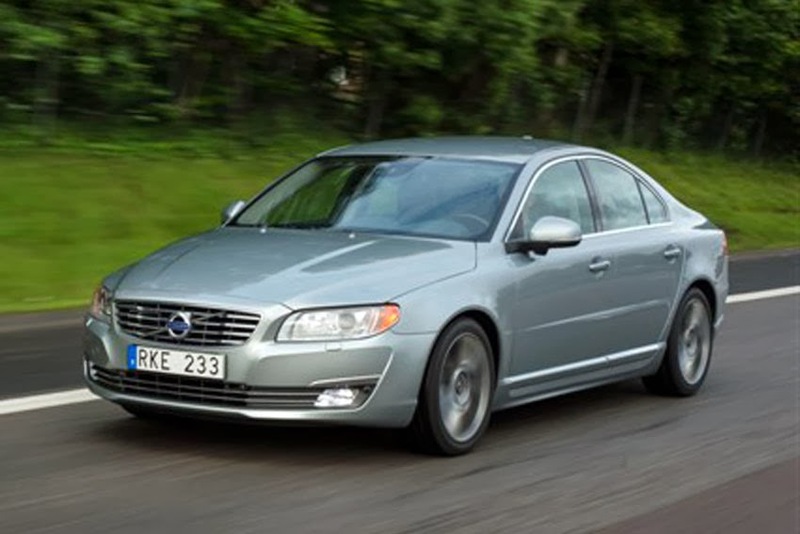 Similar mixes of steel qualities are used in all current Volvo models, and the technology will be further enhanced in the upcoming models developed on our Scalable Product Architecture," said Thomas Broberg, Senior Safety Advisor at Volvo Car Group. "The IIHS Top Safety Pick+ emphazises the sustainability of our safety leadership. We are moving closer to our aim that by 2020 no one should be injured or killed in a new Volvo. Our long-term vision is that cars should not crash," added Broberg.